What a variety! Something for every taste and budget. All one of a kind. This is your chance to get original art by area artists. Looking for that special Mother's Day, Graduation, Wedding, Christmas or a Just Thinking of You gift? Look no further. This is a gift made even more special because its purchase raises money for research, education, advocacy and cancer patient services. Mark you calendar — Sunday, May 6th — plan on bidding on your favorite birdhouses. If you can't attend, email Linda with your bid. adnil.notlehs@gmail.com﻿﻿ by Saturday, May 5th. Buyer will be responsible for postage. 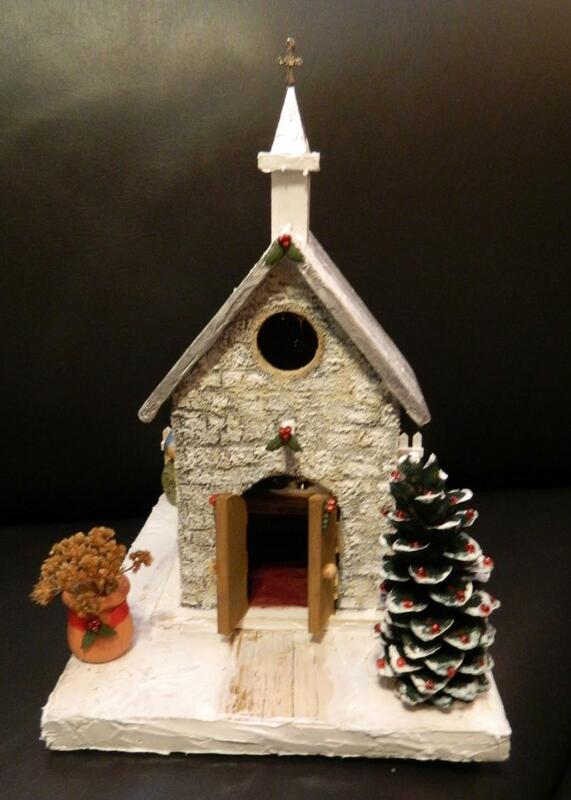 As you enjoy the gallery, make note of any birdhouses that you would be interested in bidding on. If you can't make it to the auction — send a friend or family member to bid for you or email Linda by May 5th with your bid (please note the number and name of the birdhouse) — adnil.notlehs@gmail.com﻿﻿. Prices ranged from $15 to $500 in 2017. If you are interested in making a donation to Relay For Life, rather than bidding, visit the Ups and Downs Team page. ©Gallup Birdhouses All rights reserved. Publications can reprint photos when accompanied by story/caption about the Gallup Birdhouses or Gallup/Mckinley Relay For Life. Please give photo credit to Linda Shelton. We would love to know when information about the Gallup Birdhouses is published, email Linda with the info.